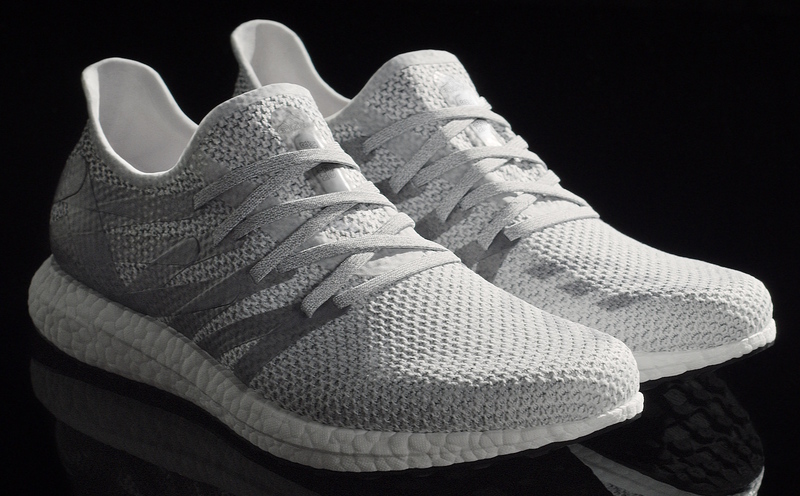 It's called the Futurecraft M.F.G. Last last year, Adidas began rolling out its plans for Speedfactory, a set of robot-staffed manufacturing facilities located in Germany and, soon, the US. Today, the sportswear giant revealed the first silhouette developed through this new project, known as Futurecraft M.F.G. It's a sleek running shoe that features Adidas' trademark Primeknit upper and Boost midsole, similar to what you see on popular models like Kanye West's Yeezy 350s. While there is some human assistance during the assembly process, as shown in the video below, the majority of the crafting is done by the machines. What's more, the design itself relies heavily on data from ARAMIS, a motion capture technology that maps an individual's skin, bone and muscle to create a more comfortable shoe. Adidas says the M.F.G. (aka "Made for Germany") is only the beginning, with more products expected to come over the next few months. The company has been pushing the envelope with its Futurecraft line recently, which also includes sneakers made partially with 3D-printed materials. Don't hold your breath if you want a pair of Futurecraft M.F.G., though, since only 500 pairs will be available for an undisclosed price.